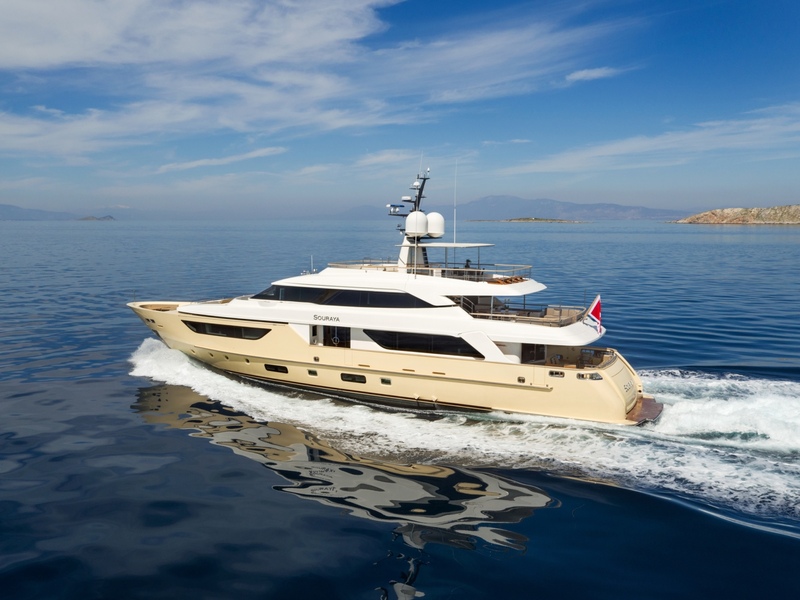 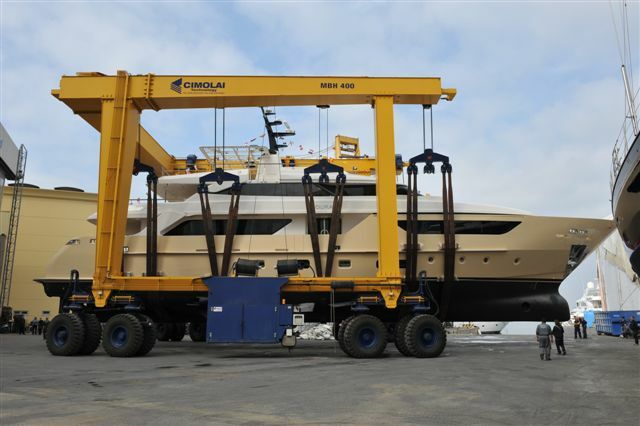 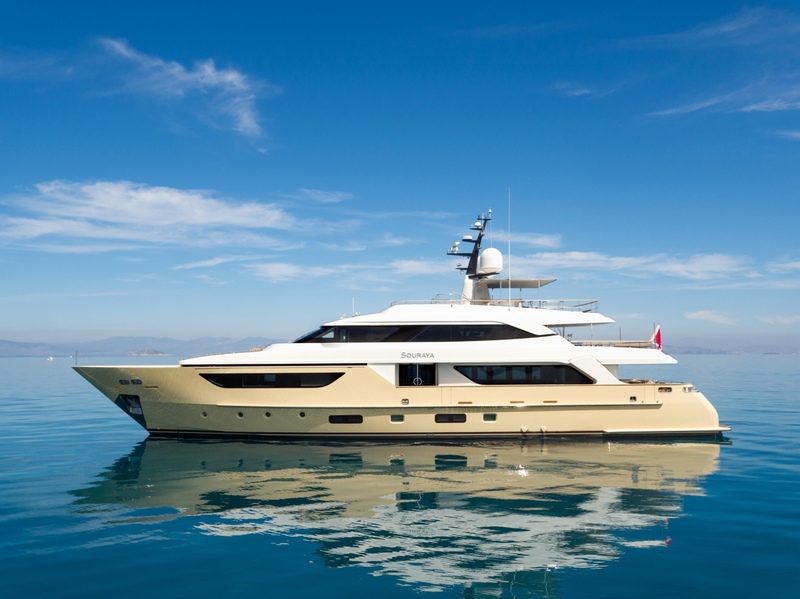 Launched in 2012, the 38m (124'8'') motor yacht Souraya is the fifth elegant and technologically advanced SD122 series vessel, built by the prominent Italian shipyard Sanlorenzo. 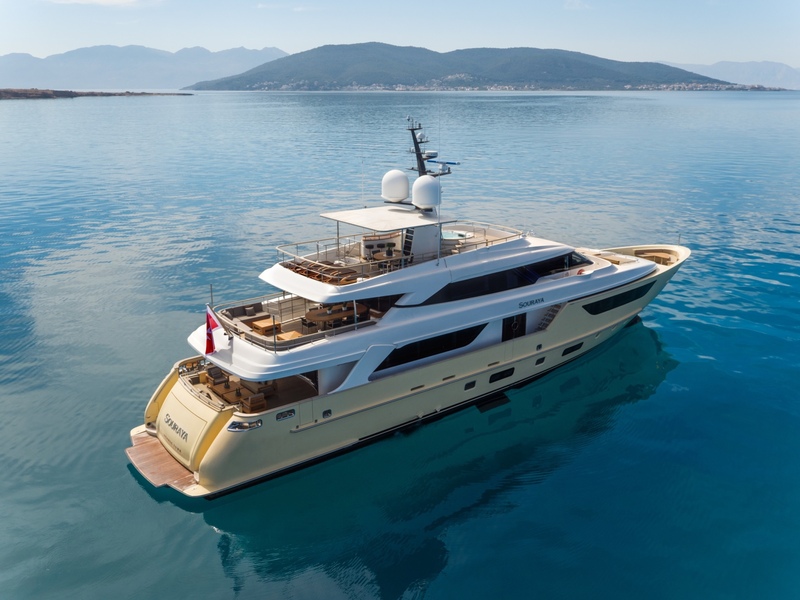 With beautiful exterior by Francesco Paszkowski, the Souraya superyacht features modern lines with retro shapes recalling the great transatlantic liners of the 30s. 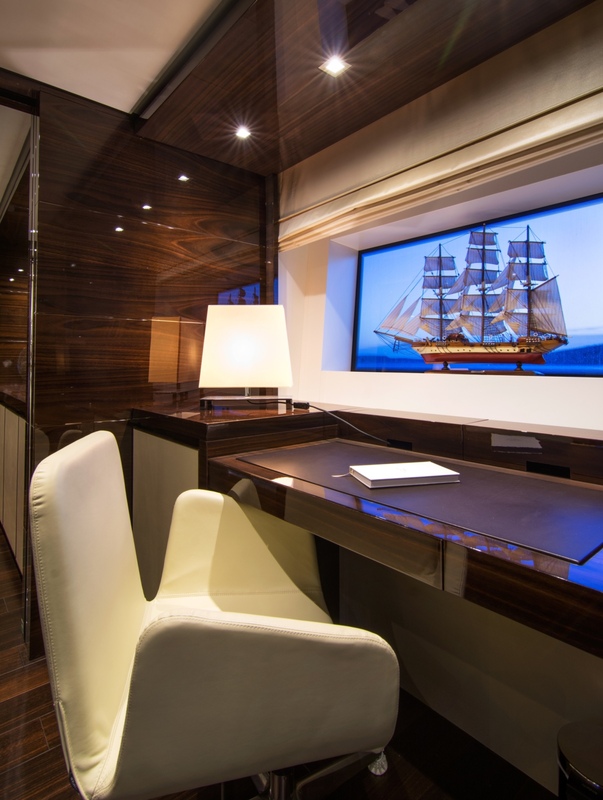 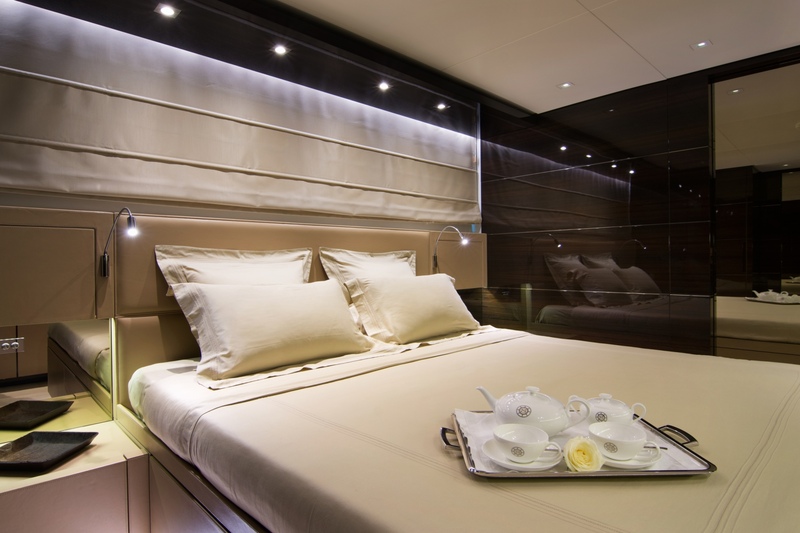 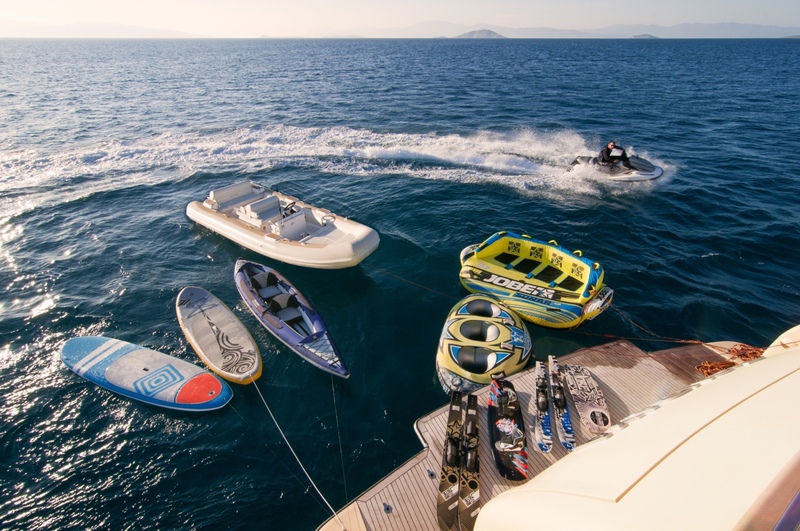 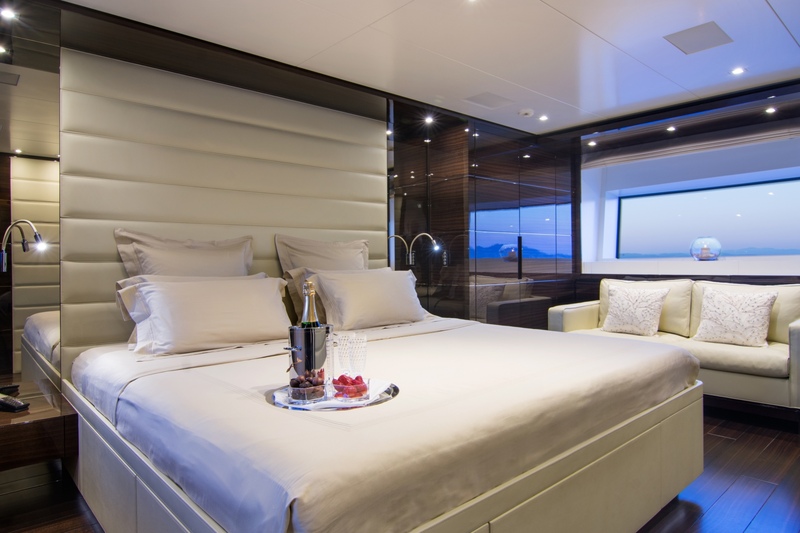 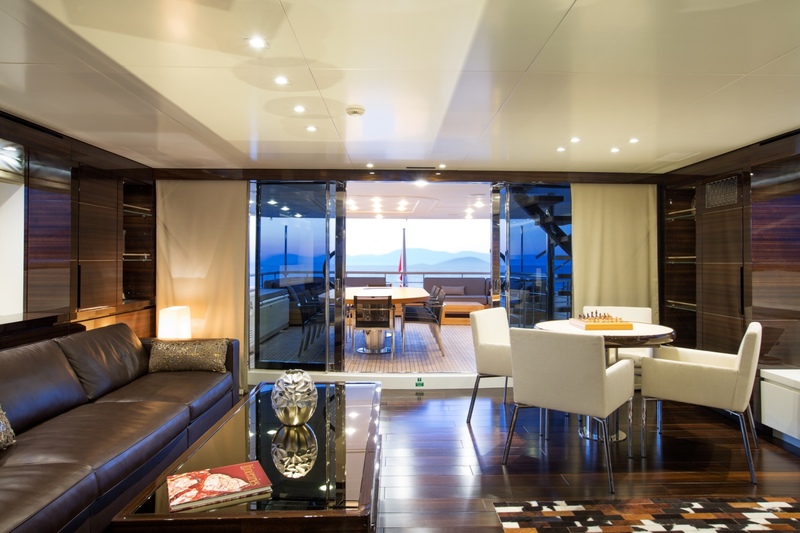 She offers accommodation in 5 cabins, for up to 12 charter guests. 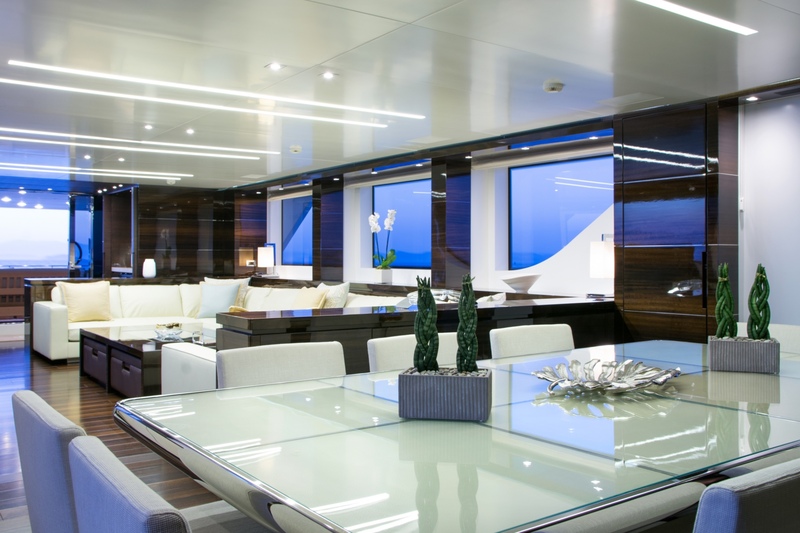 Her interiors are characterized by an accurate choice of the most extraordinary materials, such as the eucalyptus wood parquet floors with opaque finishing that perfectly match the furniture made in gloss eucalyptus wood with stainless steel inlays. 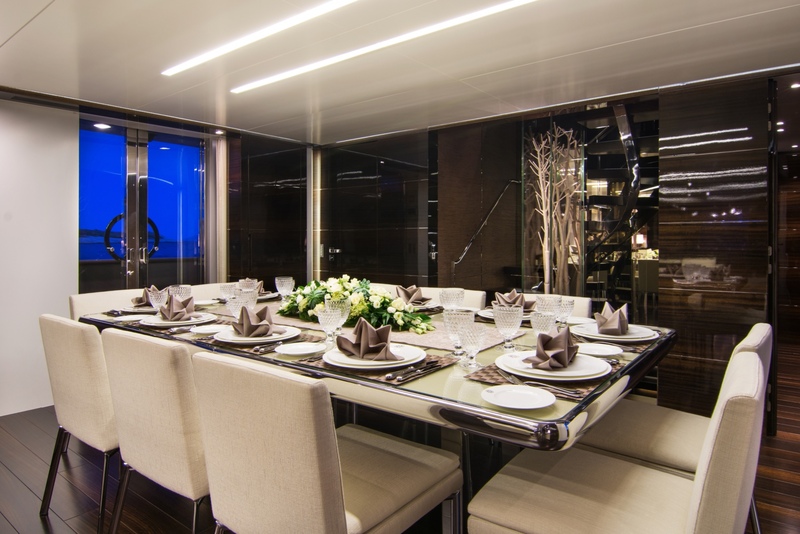 The main salon is laid to an open plan with the formal dining, creating a wonderful social ambiance. 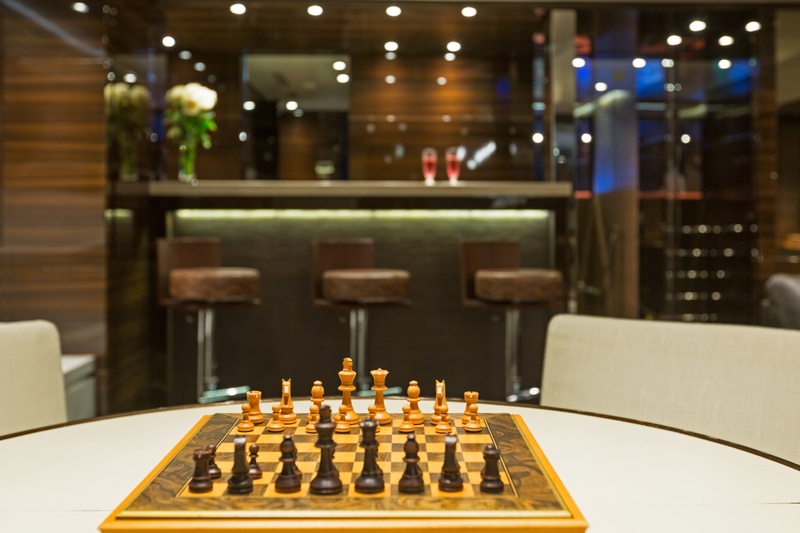 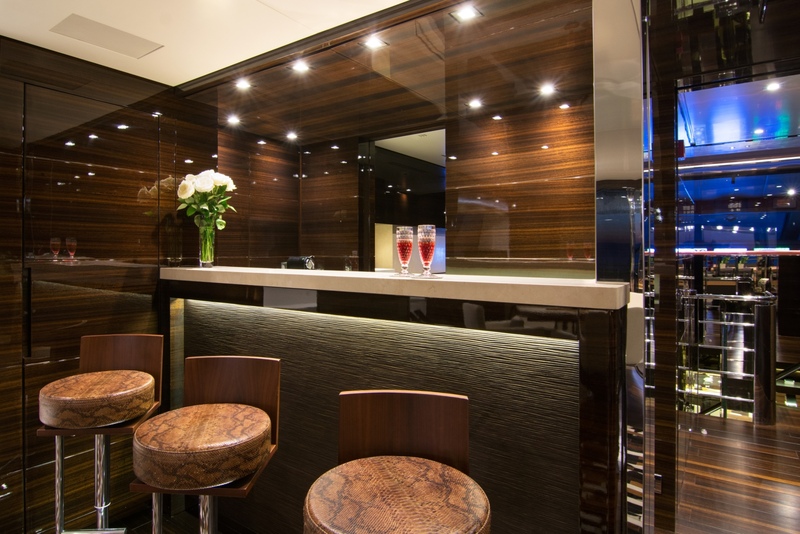 An upper skylounge is perfect for evening cocktails with family and friends, offering a lounge area, games table and wet bar. 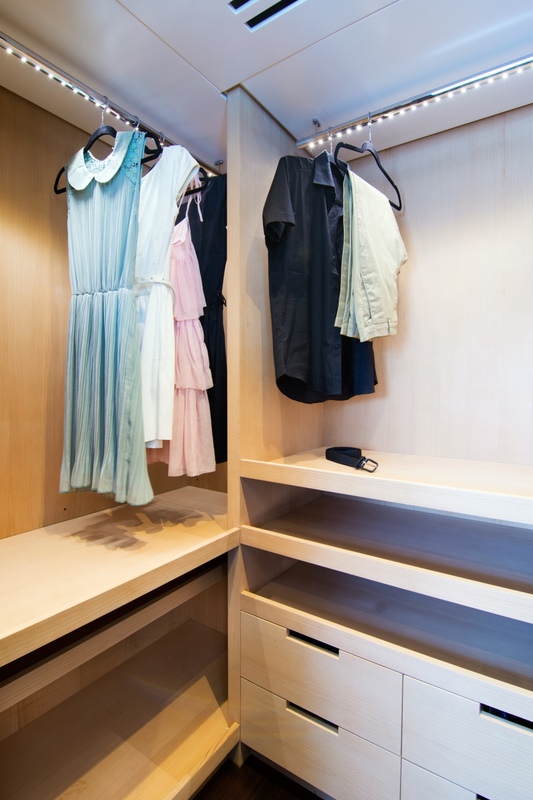 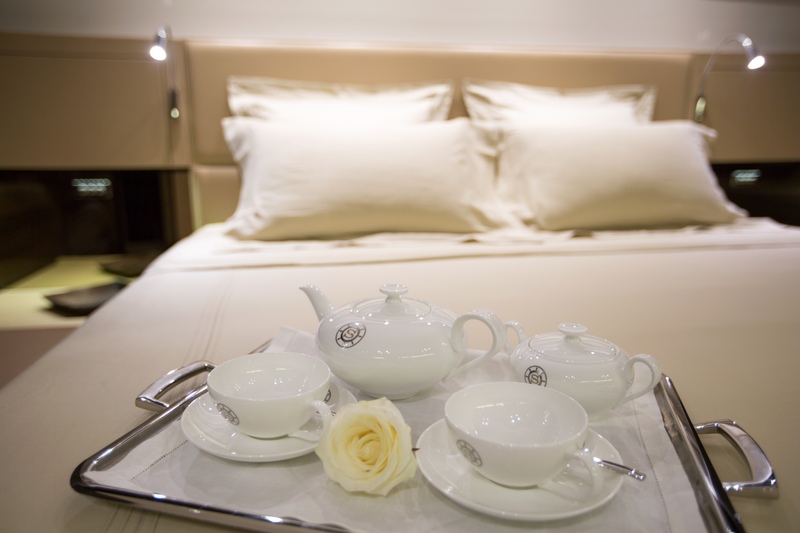 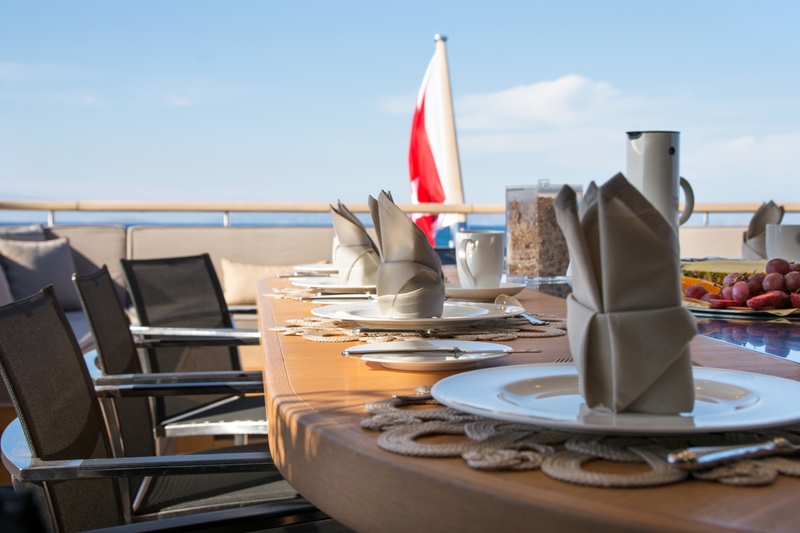 Accommodation is in one main deck master stateroom, while on the lower deck, there are 2 double and 2 twin cabins. 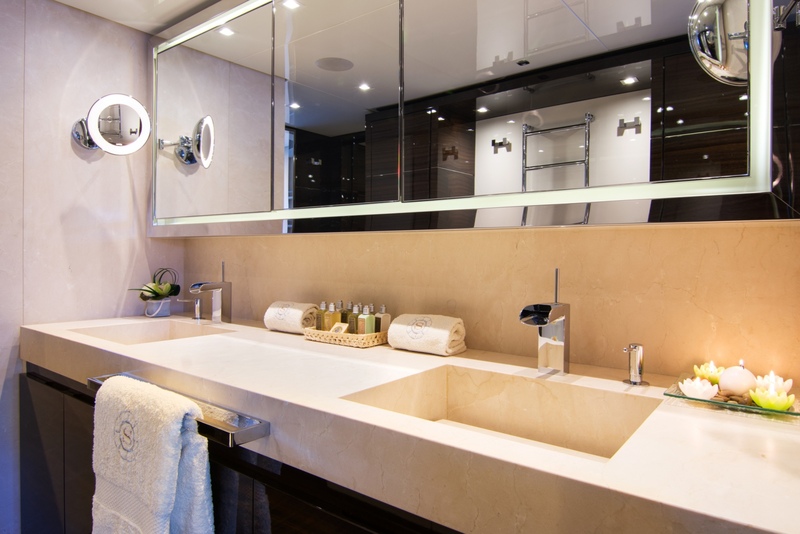 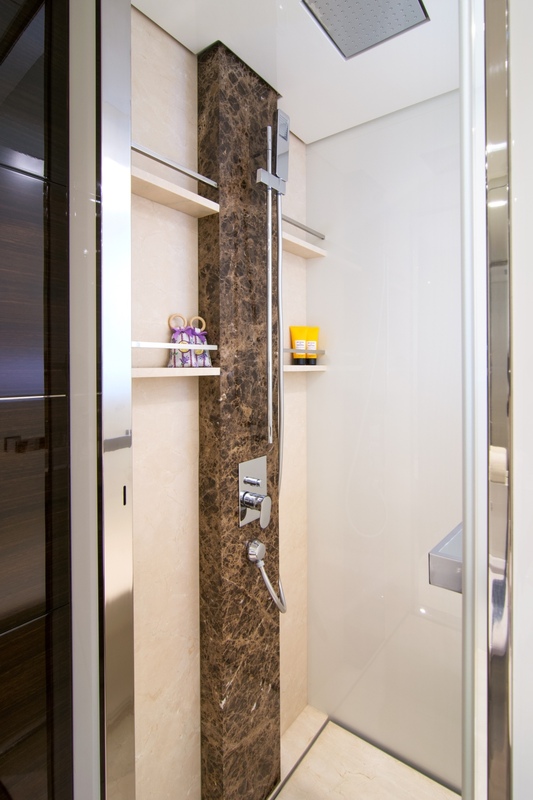 All the bathrooms are covered with Marfil Cream marble as well as Tobacco Brown marble. 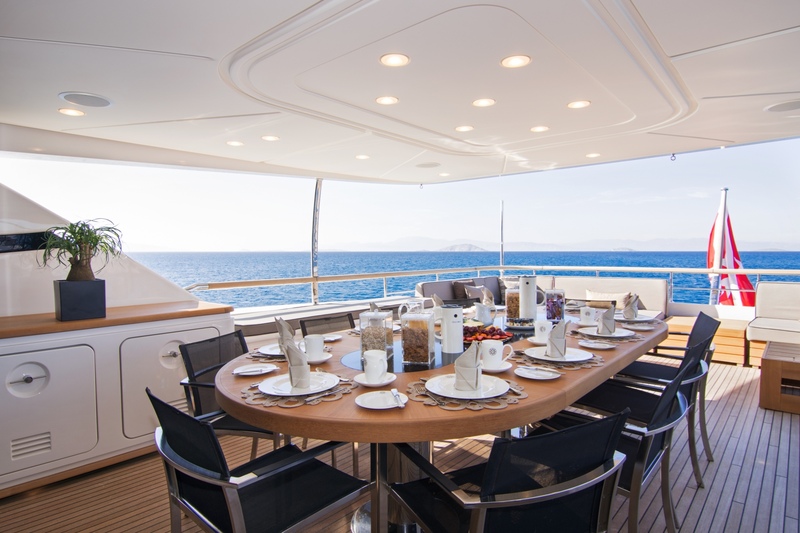 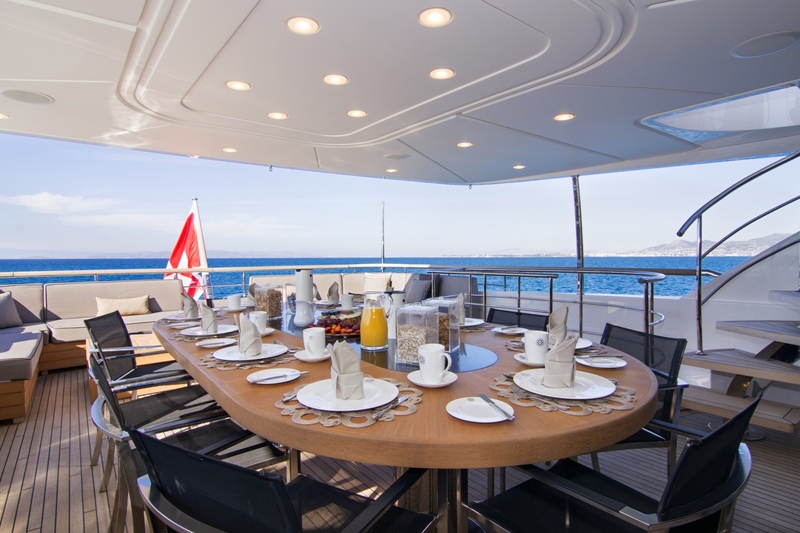 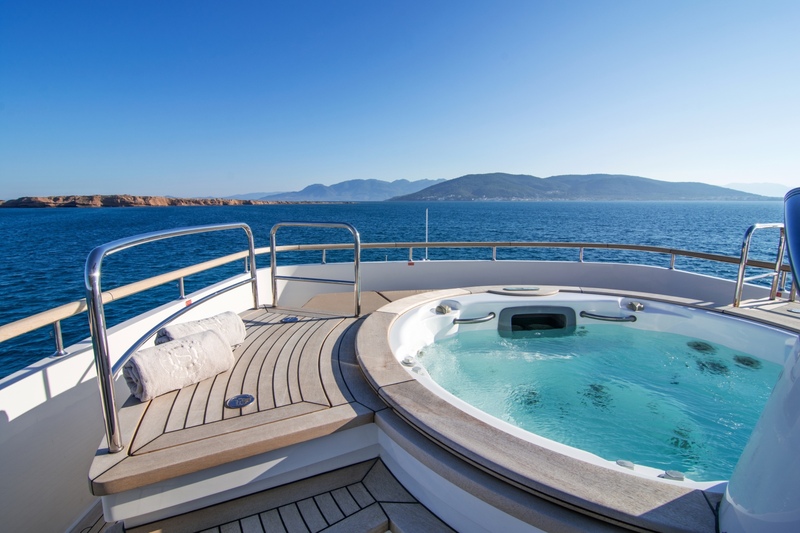 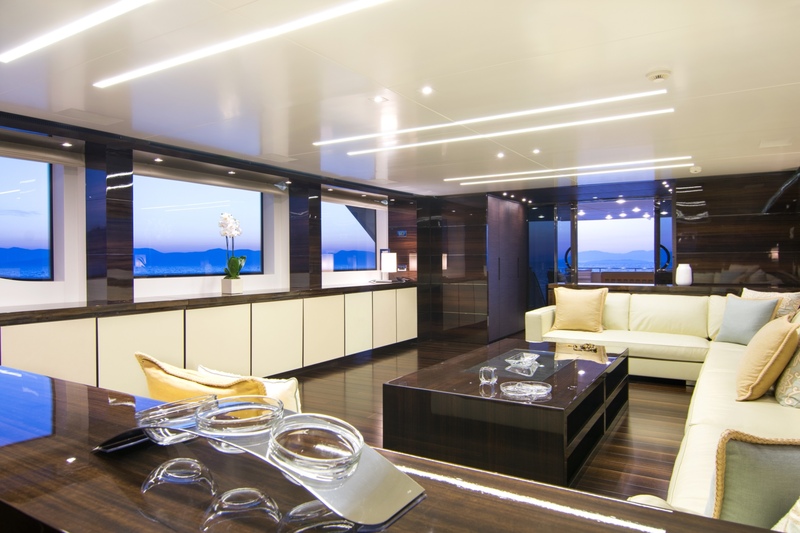 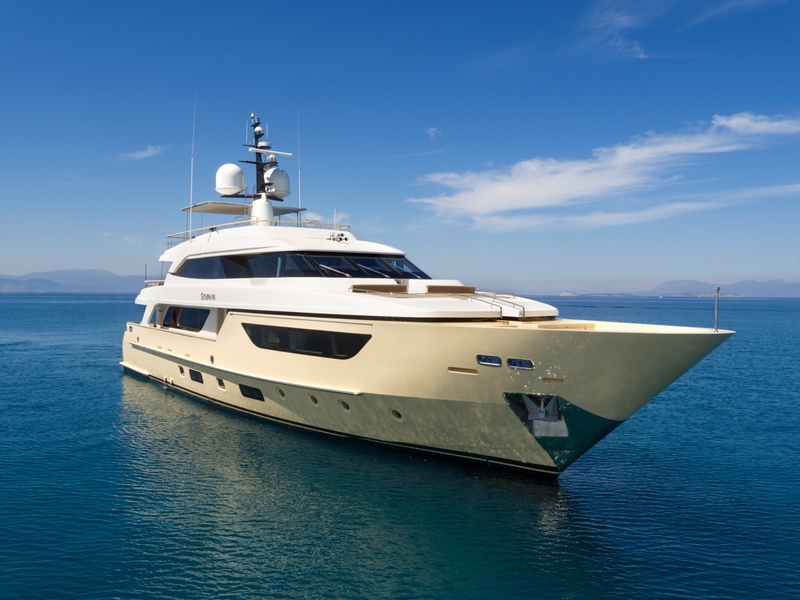 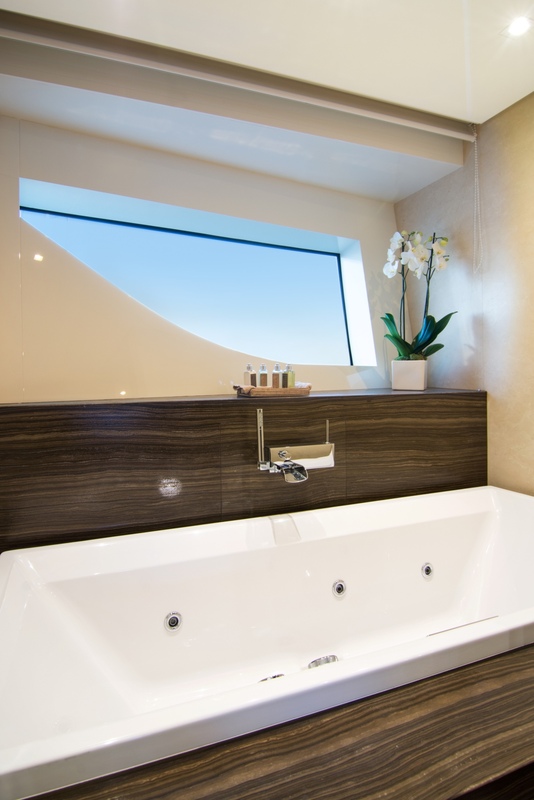 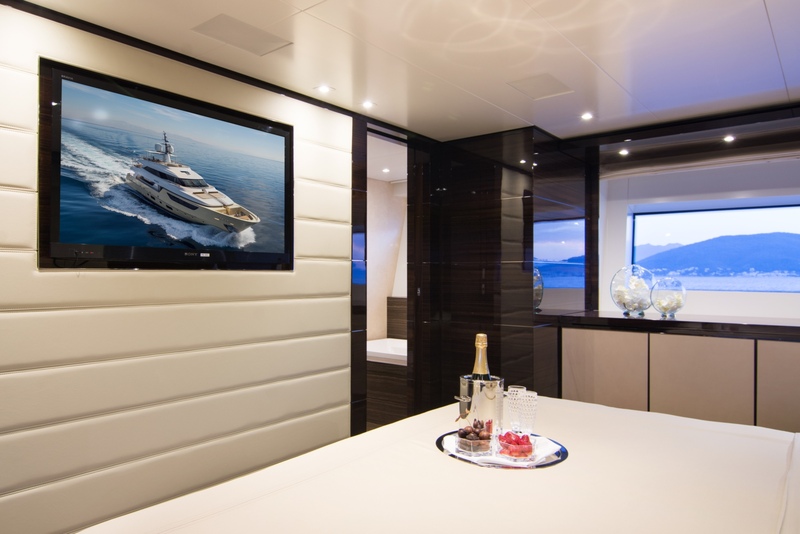 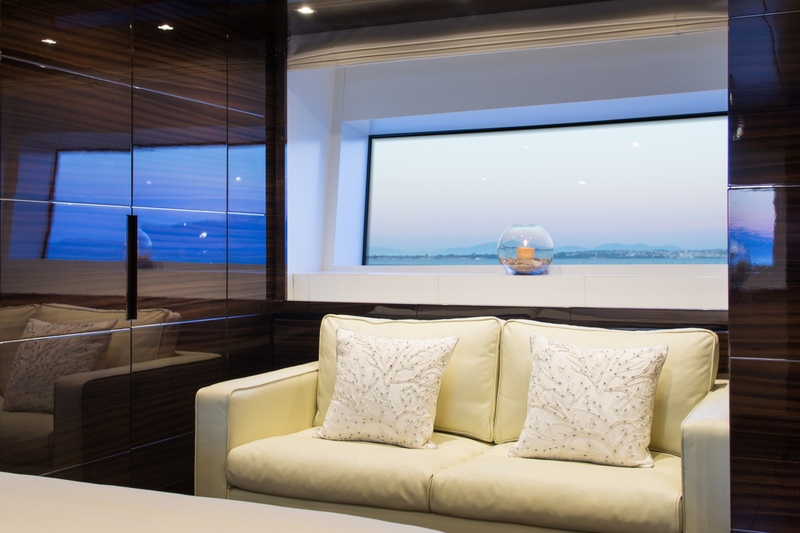 Exterior living is generous over 3 levels aboard the Sanlorenzo yacht SOURAYA. 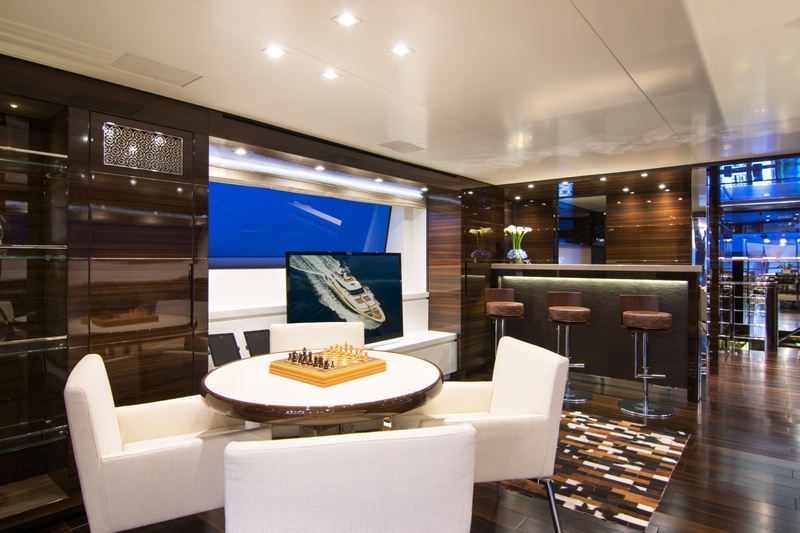 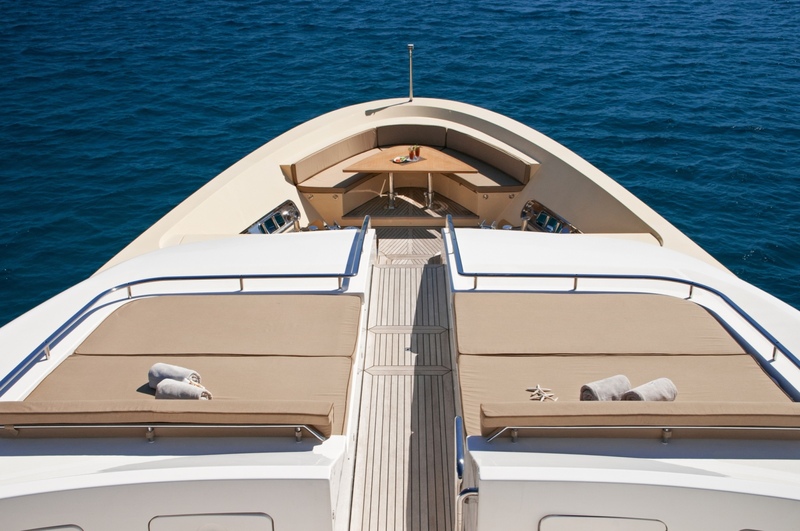 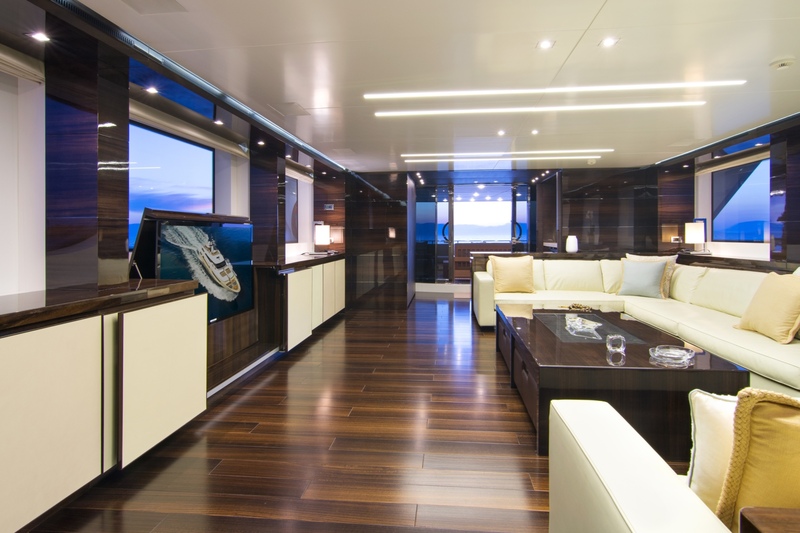 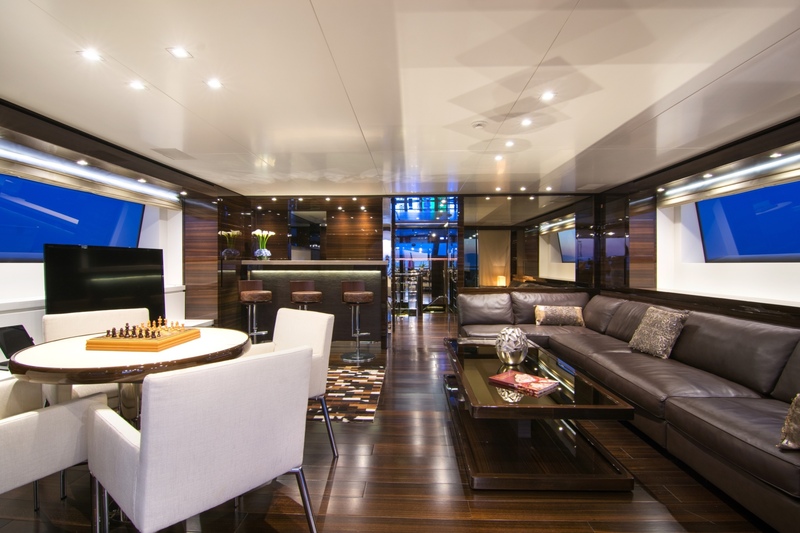 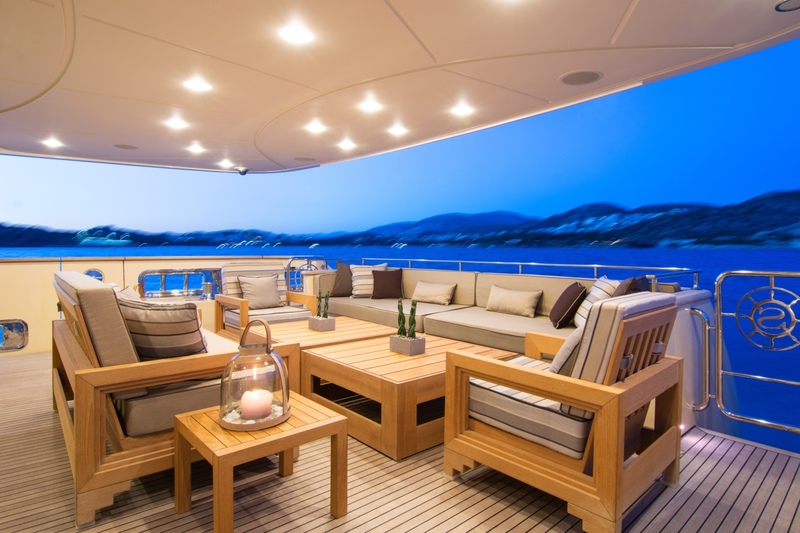 Her main aft deck is shaded featuring a lovely casual seating arrangement. 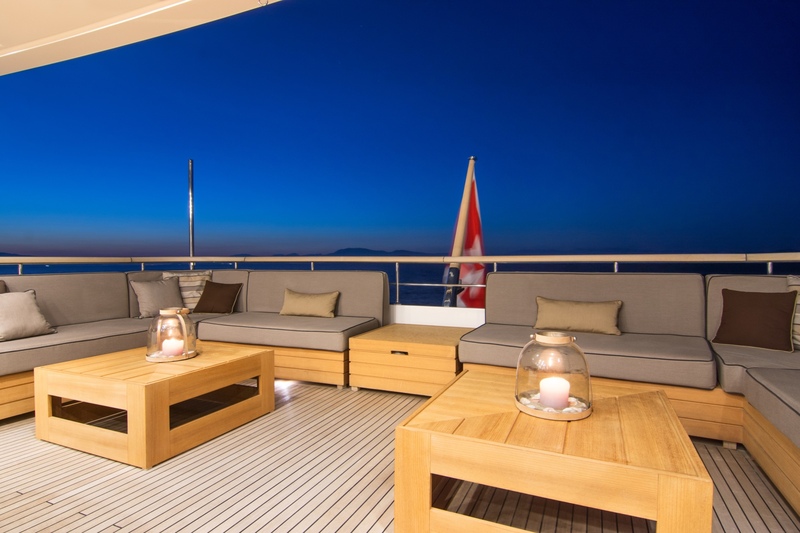 On the upper deck, dine alfresco or simply unwind on the built-in seating area. 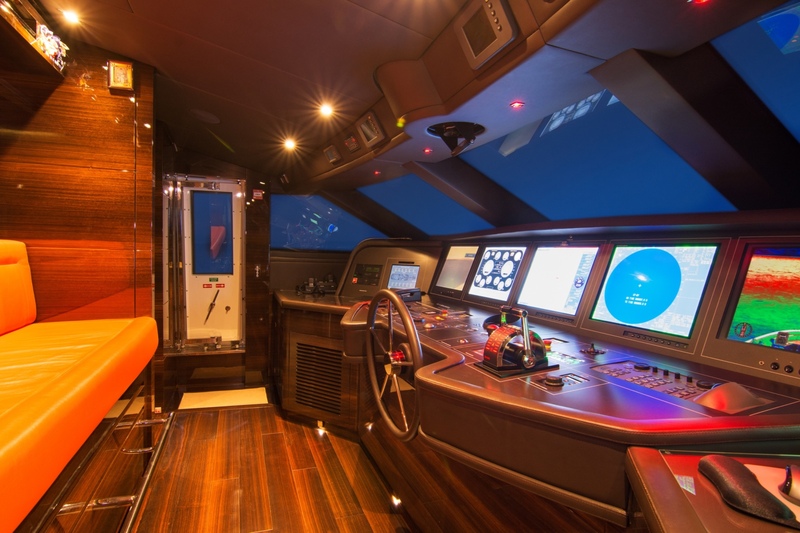 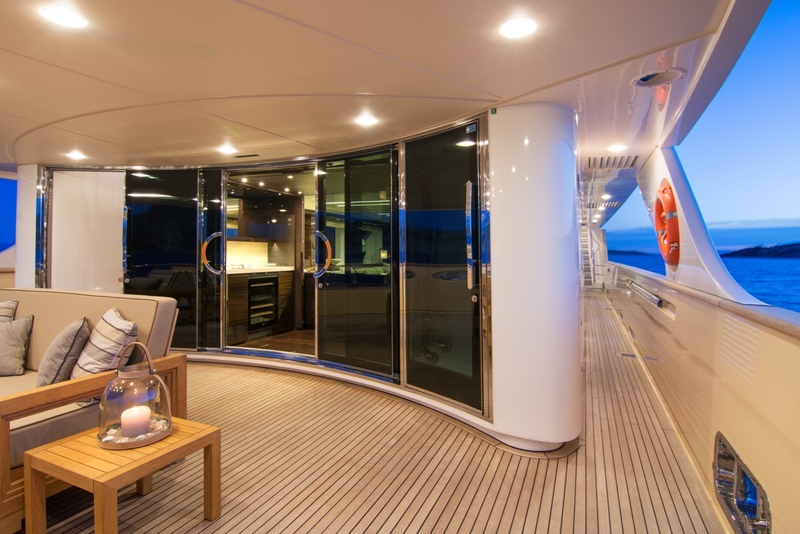 There is a foredeck space with dual sunpads in a raised position, as well as an intimate bow seating nook with a small table. 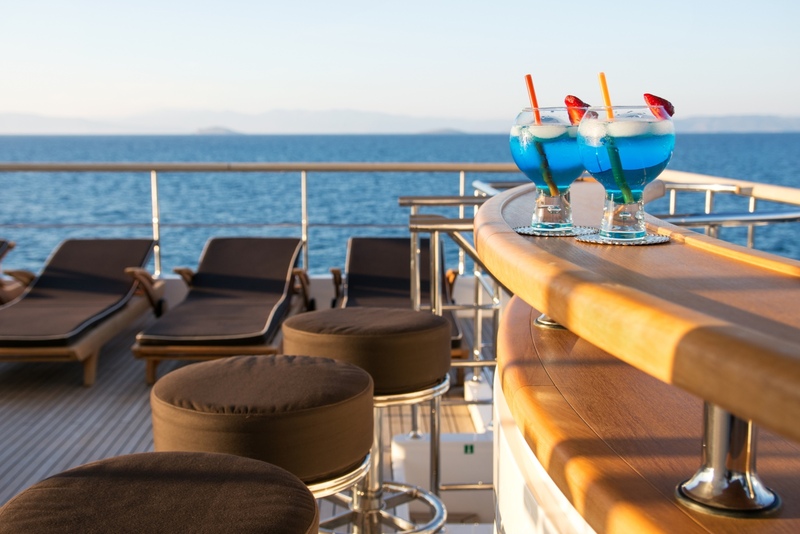 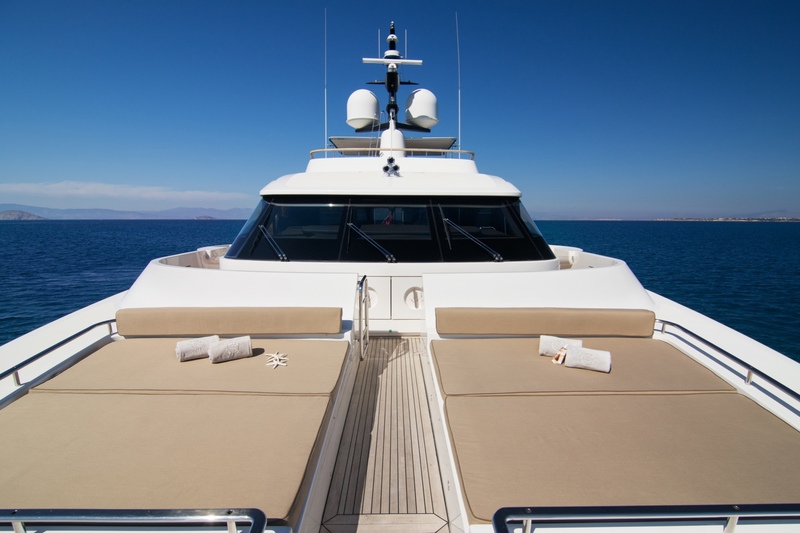 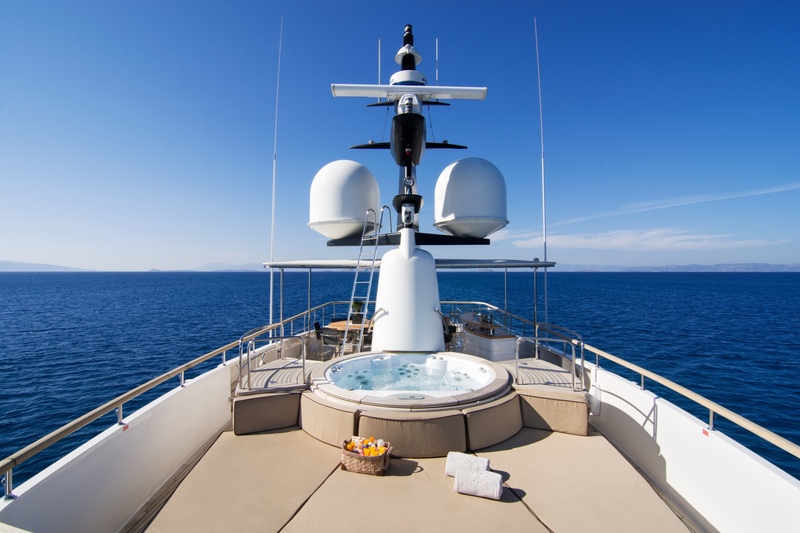 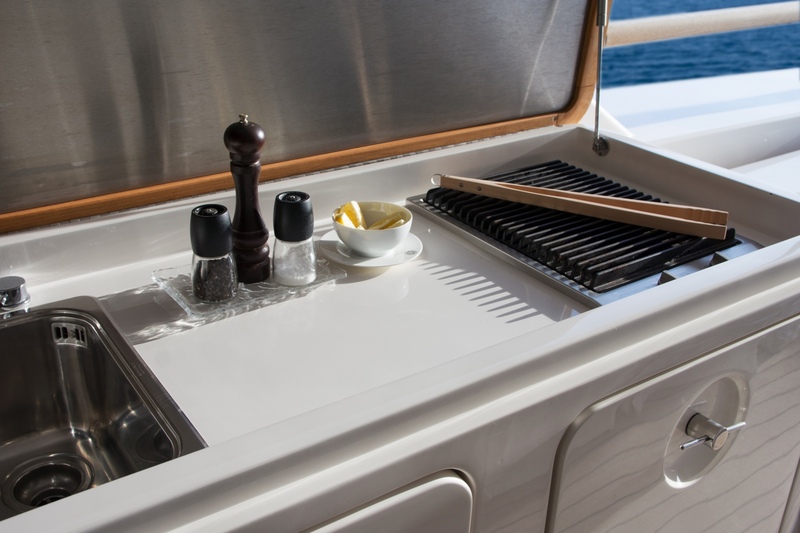 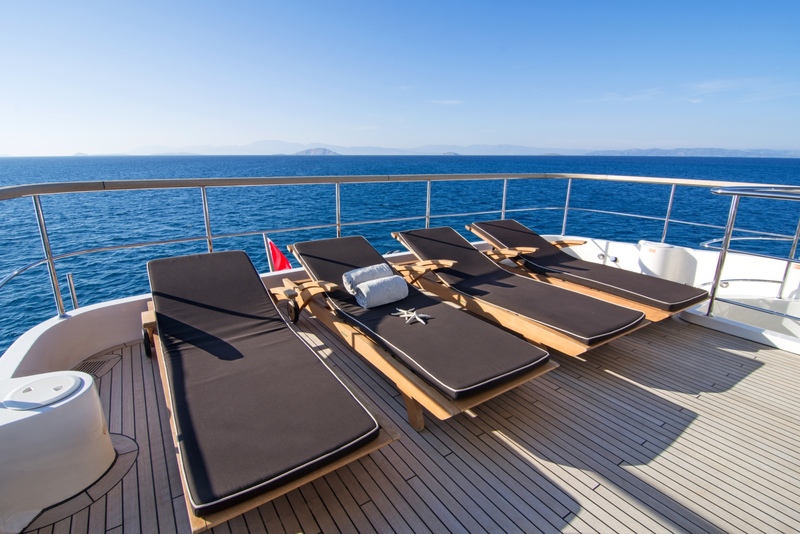 Her sundeck is well-appointed, complete with a wet bar, seating, sunpads, chaise loungers and Jacuzzi. 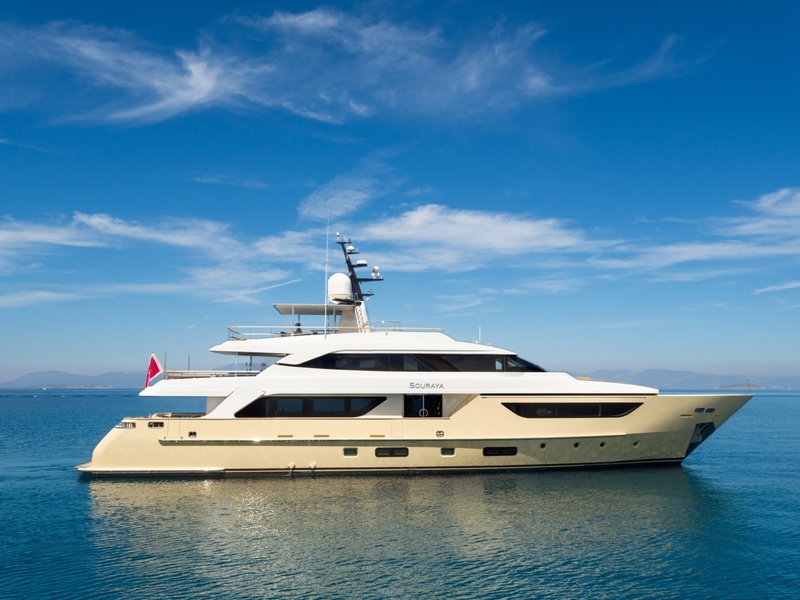 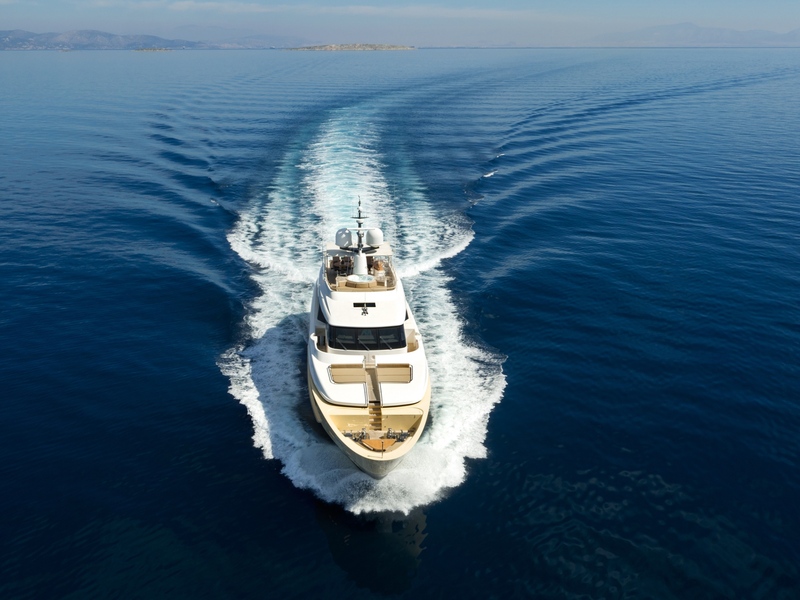 Boasting semi-displacement hull, the Sanlorenzo superyacht Souraya is run by twin Caterpillar C32 ACERT engines, enabling her to achieve a top speed of 17 knots and a comfortable cruising speed of 14 knots. 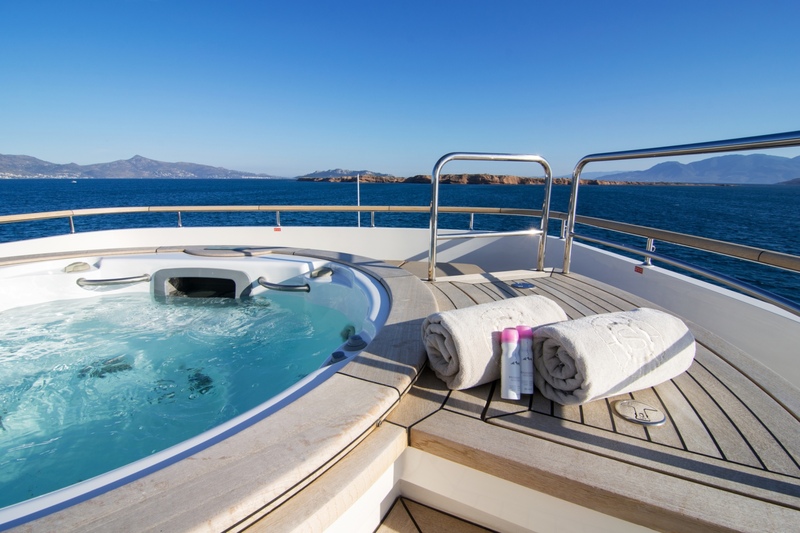 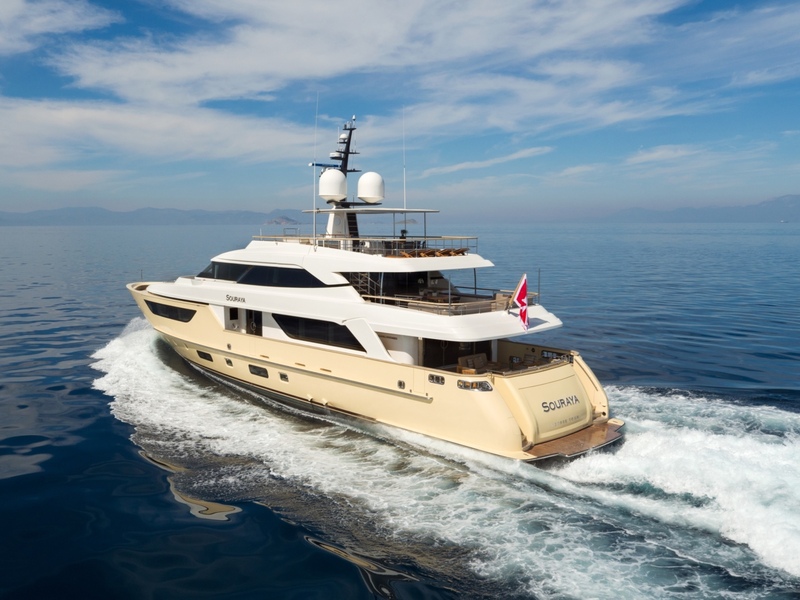 Sanlorenzo superyacht Souraya can comfortably accommodate up to charter 10 guests and a dedicated and professional crew of 7. 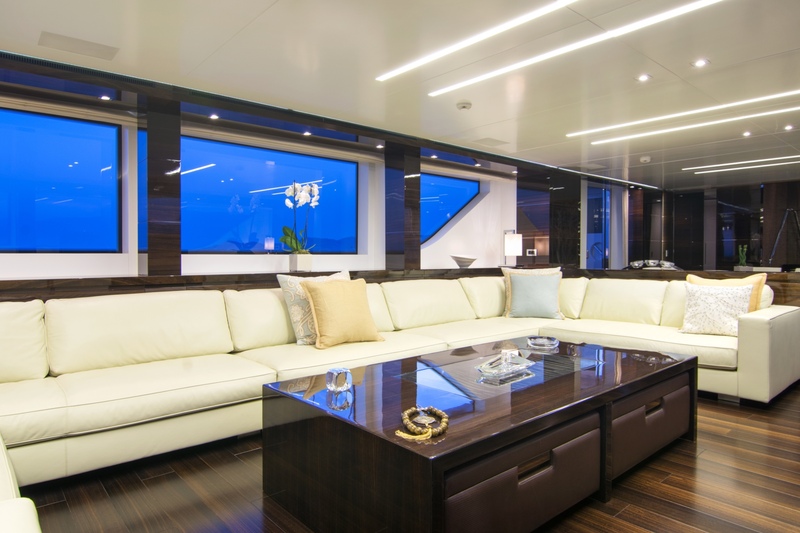 Her interiors are characterized by an accurate choice of the most extraordinary materials, such as the eucalyptus wood parquet floors with opaque finishing that perfectly match the furniture made in gloss eucalyptus wood with stainless steel inlays. 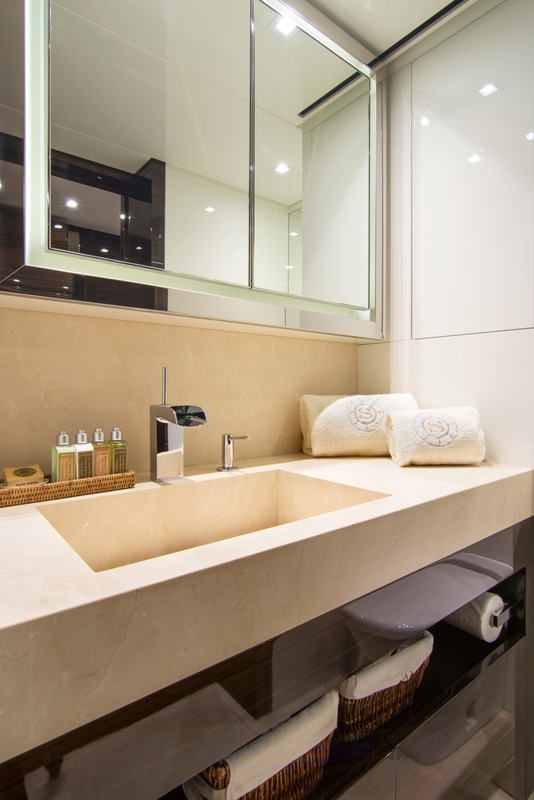 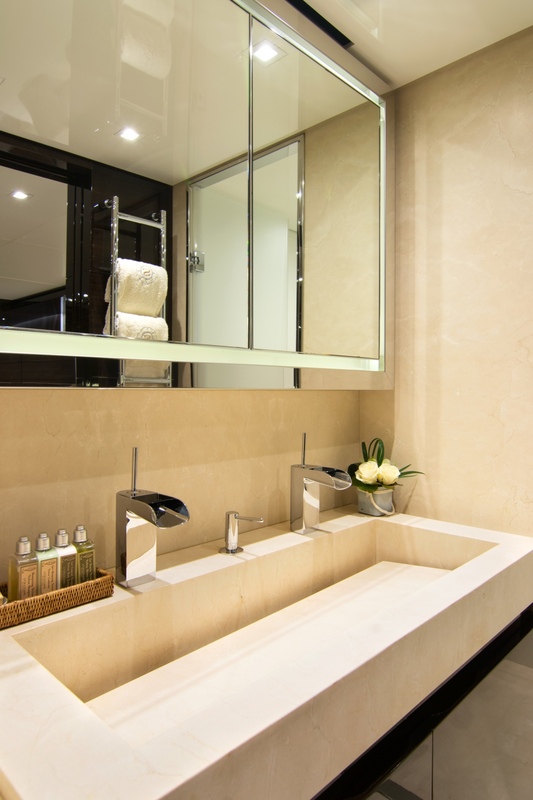 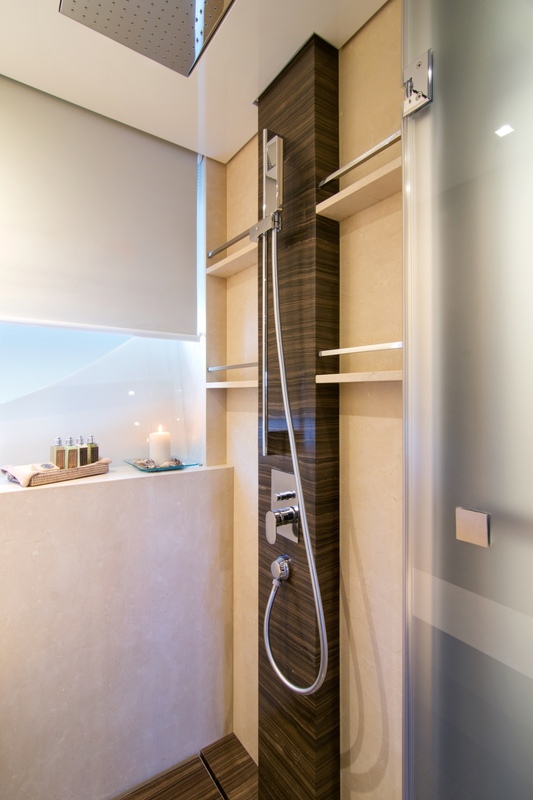 All the bathrooms are covered with Marfil Cream marble as well as Tobacco Brown marble.